William Harrison Withers, Jr, was born on the 4th July 1938, in Slab Fork, West Virginia USA. He is a musician; singer, and songwriter, best known for his hit songs such as “Ain`t No Sunshine”, “Lean On Me”, among others. Have you ever wondered how rich Bill Withers is, as of mid 2016? According to authoritative sources, Bill`s net worth is estimated at $25 million, an amount acquired through his successful career in the entertainment industry as a musician. His net worth has also benefited from his business career, launching a publishing company located in Beverly Hills. Bill grew up in Beckley, the youngest of six children in a hard working family, as his father was a miner, and his mother a housekeeper. As a child, Bill suffered from a stutter, which had a negative effect on his growing up, as he couldn`t make any friends, and was often a target of ridicule by other children. To make things worse, his father died when Bill was only 13 years old. Nevertheless, Bill never surrendered, and when he became eligible, he joined the US Navy, which helped him overcome his stutter. He served in the navy for nine years, and upon discharge, he became involved in music, and started writing and recording songs. His first demos saw the light of day in 1967, but meanwhile Bill worked in the aircraft industry for the Douglas Aircraft Corporation. Bill`s music career began in the early 1970s, when he was spotted by the owner of Sussex Records, Clarence Avant, who signed him after an audition. Bill`s first album, entitled “Just As I Am”, was produced by Booker T. Jones, and it came out in 1971, spawning hits like “Ain’t No Sunshine”, and “Grandma’s Hands”. After the success of the album, Bill ventured on a tour, which only increased further his net worth, and then started working on his second album, entitled “Still Bill”, which was released in 1972. This album achieved gold status, increasing Bill`s net worth by a large margin, as it also topped the US R&B Chart. Before Sussex ceased to exist in 1975, Bill released one more album entitled “+’Justments” in 1974, which was also successful, reaching No. 7 on the US R&B chart. In 1975 he switched to Columbia Records, where he continued his recording career, until 1985 when stating that he wasn`t satisfied with the producers and record label telling him how to sing, and record albums, if he wanted to earn more from his music career. Before he decided to quit recording, he released five albums with Columbia Records, including “Making Music” (1975), “Menagerie” (1977) – which achieved gold status – and “Watching You Watching Me” in 1985, which was his last studio album to be released. Bill stayed in music, however, collaborating with numerous artists such as Club Nouveau and Jimmy Buffett, among many others, which also added to his net worth. 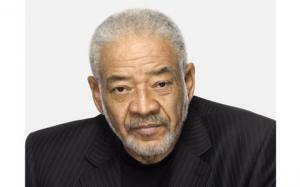 Throughout his career, Bill has also released numerous compilation albums, including “Greatest Hits” (1981), which achieved gold status, “Lovely Day: The Very Best of Bill Withers” (2005), and most recently “The Essential Bill Withers”, which also added to his net worth. Several musicians, including Aloe Blacc, Ed Sheeran, Anthony Hamilton, and Michael McDonald among others, held a tribute concert for Bill in 2015 at Carnegie Hall, and Bill was in the audience, appearing for a short time on stage with the musicians. The main focus of the concert was to recreate Bill`s album “Live at Carnegie Hall”, released in 1973, however, they also performed songs which weren`t included in the original set. Thanks to his talents, Bill has received numerous prestigious awards, including several Grammy awards, and a Rhythm & Soul Heritage Award by the American Society of Composers, Authors and Publishers in 2006. Furthermore, he was inducted into the Songwriters Hall Of Fame in 2005, and he was also inducted into the Rock ‘n’ Roll Hall of Fame in 2015. When it comes to his personal life, Bill has been married to Marcia Johnson, since 1976, with whom he has a son and a daughter. He was previously married to Denise Nichols from 1973 until 1974. Nicknames Bill Whinters , Bill Whiters , Bill Whithers , William Harrison Withers Jr. , William Harrison Withers, Jr.
1 I write and sing about whatever I'm able to understand and feel. I feel that it is healthier to look out at the world through a window than through a mirror. Otherwise, all you see is yourself and whatever is behind you. 1 Was twenty-seven when he decided to pursue a career in music. 2 Served nine years in the U.S. Navy. 3 Was working in a factory when he made his first album and didn't quit when it became successful as he didn't know how long his career would be. 4 His composition "Lean On Me" was adopted as a hymn by the Unitarian-Universalist Association and appears in their supplemental hymnal "Singing the Journey" (Hymn # 1021). 5 Inducted into the Songwriters Hall of Fame on June 9, 2005 in New York City alongside Robert B. Sherman, Richard M. Sherman, Steve Cropper, John Fogerty, Isaac Hayes and David Porter. The Secret Life of Pets 2016 performer: "Lovely Day" / writer: "Lovely Day"
Southside with You 2016 performer: "Moanin and Groanin'" / writer: "Moanin and Groanin'"
Colonia 2015 performer: "AIN'T NO SUNSHINE" / writer: "AIN'T NO SUNSHINE"
The Wedding Ringer 2015 writer: "Lean On Me"
La força de la vida. El making of del disc i del llibre de La Marató 2013 TV Movie writer: "Quan te'n vas no brilla el sol"
The Heat 2013/I performer: "Lonely Town, Lonely Street" / writer: "Lonely Town, Lonely Street"
Decoding Annie Parker 2013 writer: "Lean On Me"
Twenty Feet from Stardom 2013 Documentary writer: "Lean On Me"
Flight 2012/I performer: "Ain't No Sunshine" / writer: "Ain't No Sunshine"
The House I Live In 2012 Documentary performer: "GRANDMA'S HANDS" / writer: "GRANDMA'S HANDS"
Glee Encore 2011 Video writer: "Lean On Me"
Paul 2011 "JUST THE TWO OF US" / performer: "JUST THE TWO OF US"
Jimi Hendrix: The Guitar Hero 2011 Documentary writer: "Ain't No Sunshine"
127 Hours 2010 "Lovely Day" / performer: "Lovely Day"
Lifted 2010 writer: "Ain't No Sunshine"
She's Out of My League 2010 performer: "Use Me" / writer: "Use Me"
Hope for Haiti Now: A Global Benefit for Earthquake Relief 2010 TV Movie documentary writer: "Lean On Me"
Tony Hawk: Ride 2009 Video performer: "Lovely Day"
David Garrett Live in Berlin 2009 TV Movie writer: "Ain't No Sunshine"
The Hangover 2009 performer: "Grandma's Hands" / writer: "Grandma's Hands"
Karaoke Revolution Presents: American Idol Encore 2 2008 Video Game music: "Just The Two Of Us"
Soul Power 2008 Documentary performer: "Hope She'll Be Happier" / writer: "Hope She'll Be Happier"
Transferants 2008 Short "Use Me"
Snow Buddies 2008 Video writer: "Lean On Me"
8 päivää ensi-iltaan 2008 "Ain't No Sunshine When She's Gone"
Eye See Me 2007 performer: "Grandma's Hands", "Lean on Me" / writer: "Grandma's Hands", "Lean on Me"
Banished 2007 performer: "AIN'T NO SUNSHINE" / writer: "AIN'T NO SUNSHINE"
Code Name: The Cleaner 2007 performer: "Use Me" / writer: "Use Me"
School for Scoundrels 2006 performer: "Lovely Day" / writer: "Lovely Day"
Hoot 2006 performer: "Lovely Day" / writer: "Lovely Day"
Something New 2006/I writer: "Who Is He and What Is He to You"
Munich 2005 performer: "Ain't No Sunshine" / writer: "Ain't No Sunshine"
Roll Bounce 2005 performer: "Lovely Day" / writer: "Lovely Day"
A Little Trip to Heaven 2005 writer: "Ain't No Sunshine"
A Brokedown Melody 2004 Documentary writer: "Take It All in and Check It All Out"
Anchorman: The Legend of Ron Burgundy 2004 performer: "Use Me" / writer: "Use Me"
Still We Believe: The Boston Red Sox Movie 2004 Documentary performer: "Use Me" / writer: "Use Me"
Johnson Family Vacation 2004 performer: "Who Is He And What Is He to You?" / writer: "Who Is He And What Is He to You?" Starsky & Hutch 2004 performer: "Use Me" / writer: "Use Me"
Ghosts of the Abyss 2003 Documentary writer: "Just the Two of Us"
Old School 2003 performer: "Ain't No Sunshine" / writer: "Ain't No Sunshine"
Poolhall Junkies 2002 performer: "Use Me" / writer: "Use Me"
Exit Wounds 2001 writer: "No Sunshine"
Blow Dry 2001 performer: "Lovely Day" / writer: "Lovely Day"
Chain of Fools 2000 writer: "Who is He And What is He to You?" Play It to the Bone 1999 writer: "Gonna Be a Lovely Day"
Any Given Sunday 1999 performer: "USE ME" / writer: "USE ME"
American Beauty 1999 performer: "Use Me" / writer: "Use Me"
Austin Powers: The Spy Who Shagged Me 1999 writer: "Just The Two Of Us Dr. Evil Mix"
Notting Hill 1999 performer: "AIN'T NO SUNSHINE" / writer: "AIN'T NO SUNSHINE"
The Corruptor 1999 writer: "Ain't No Sunshine"
A Soldier's Daughter Never Cries 1998 performer: "Ain't No Sunshine" / writer: "Ain't No Sunshine"
Day 532 1998 Short performer: "I'm Her Daddy" / writer: "I'm Her Daddy"
Fallen 1998 writer: "Who Is He And What Is He To You"
Suicide Kings 1997 performer: "Grandma's Hands" / writer: "Grandma's Hands"
Flipping 1997 writer: "AIN'T NO SUNSHINE"
Jerry Maguire 1996 writer: "The Wrong Come Up"
Bulletproof 1996 writer: "Tha 2 Of Us"
Girls Town 1996 "Somedays" / writer: "Somedays"
Agony Again 1995 TV Series writer: "Lean on Me"
Crooklyn 1994 performer: "Ain't No Sunshine" / writer: "Ain't No Sunshine"
The Bodyguard 1992 writer: "It's Gonna Be a Lovely Day"
American Me 1992 writer: "No Sunshine"
Barumbado 1990 writer: "Lovely Day"
Staying Together 1989 writer: "Lean on Me"
Lean on Me 1989 writer: "LEAN ON ME"
Into the Homeland 1987 TV Movie writer: "Ain't No Sunshine"
Yesterday's Hero 1979 performer: "Don't Make It Better"
Looking for Mr. Goodbar 1977 performer: "She's Lonely", "She Wants To"
Save the Children 1973 Documentary performer: "Lean on Me" / writer: "Lean on Me"
Man and Boy 1971 performer: "Better Days Theme From Man And Boy"
$25 Million 1938 6 ft 1 in (1.87 m) African American Bill Whinters Bill Whiters Bill Whithers Bill Withers Bill Withers Net Worth Denise Nicholas Denise Nicholas (m. 1973–1974) Jr. July 4 Marcia Johnson Marcia Johnson (m. 1976) Musician Record producer Singer-songwriter Singers Slab Fork United States United States of America West Virginia William Harrison Withers William Harrison Withers Jr.